The Ottendorfer Branch of the New York Public Library opened in 1884 as New York City’s first free public library. Designed by German-born architect William Schickel, this landmark building combines Queen Anne and neo-Italian Renaissance styles with an exterior ornamented by innovative terracotta putti. The branch was a gift of Oswald Ottendorfer, owner of the New-Yorker Staats-Zeitung newspaper. At the time, the neighborhood was calledKleindeutschland (“Little Germany”) and had a population of over 150,000 people of German descent. Ottendorfer wished to provide this community with books to cultivate their minds and assist assimilation into American culture. Half of the 8,000 original books were in German with the other half in English. In this tradition, the branch continues to reflect its community and remains a vital educational and cultural resource for the East Village. 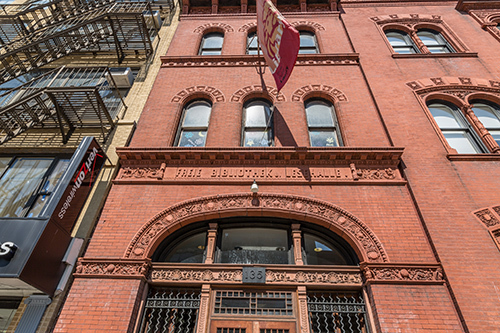 The building, which is a designated New York City landmark, has been completely renovated through the Library’s Adopt-a-Branch program, through which private donors join public funders to restore branch libraries. While the original Ottendorfer Branch was designed as a bilingual library to serve the German community, the restored library can now better serve its multilingual community and provide an increased level of accessibility to all people. 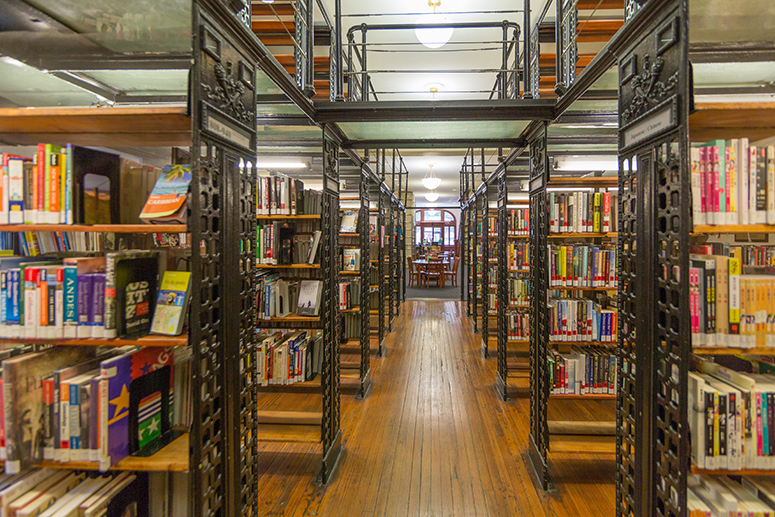 Highlights include the restored, repointed, and cleaned facade, an elevator, air-conditioning system, spacious reading area, new computer lab workstations, and children’s floor with story-hour room.